With the large value of inventory on hand, your warehouse is a prime target for thieves. If you’re looking to reduce theft in your warehouse, then you can try some of these simple warehouse theft prevention tips. Inventory shrinkage is a costly reality for most warehouses. Sadly, one of the most common causes of inventory loss is warehouse theft (which is often an inside job). The tricky part is identifying whether missing stock is due to theft or simply misplaced inventory. Below you’ll find out how to spot inventory theft and what you can do to guard against it happening in the future. Inventory shrinkage in your warehouse is normal, within certain limits. 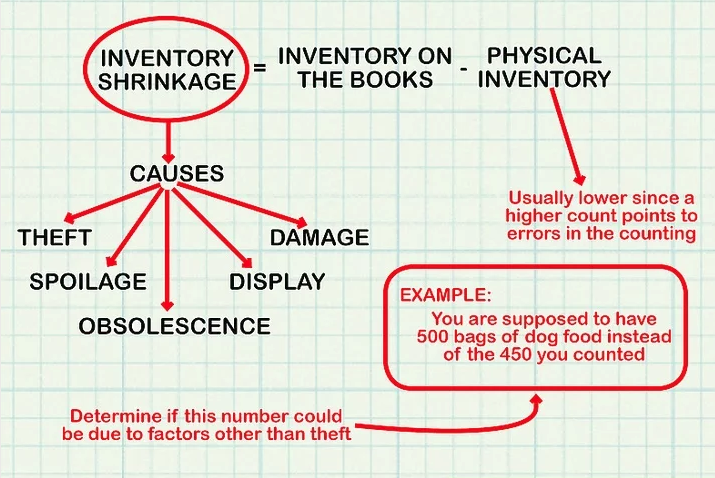 There are many reasons why you’re experiencing inventory loss - as you can see in the diagram above. “Incidents involving the theft of full truckloads continued as the most prevalent method of cargo theft in the third quarter of 2016, representing 78 percent of all reported thefts with an average loss of $120,298. Facility thefts saw a 98 percent increase in theft rate and a 266 percent increase in theft value. Warehouse locations remained the most common place for cargo theft. Holiday weekends saw a 40 percent increase in cargo theft cases, probably due to large shipments in anticipation of holiday sales” reports LPM Insider. They’re struggling to make ends meet. Very often when an employee is struggling financially, they may be tempted to steal from their employer - either taking items home for their family or to sell for cash. Their justification is that they need the item/s more than you do, thinking the company won’t miss or can easily afford to replace missing stock. An “you owe me” attitude. Some staff may believe that the company they work for owes them something. They don’t see pilfering stock as theft - it’s simply taking what was rightfully theirs to begin with. Finally, you have opportunists. These thieves will take something desirable just because they can. Small stock items like make up, clothing, food stuff, and electronics are most at risk of opportunistic theft, as the thieves will take items that are easy to access and conceal. The best way to identify theft in your warehouse is to conduct regular stock takes. The more accurate your inventory data, the faster you’ll pick up on theft. Without regular stock takes, you may not even notice that inventory levels are shrinking suspiciously until months down the line - by which time you’ll be hemorrhaging cash. It is very difficult to prove that someone is guilty of warehouse theft without catching the person red-handed. It’s much easier to put security measures in place which help you avoid theft altogether. If you notice any discrepancies, look into them immediately. The longer you leave it, the harder it will be to ascertain whether the missing stock items are lost or stolen. Take a look at your shift register to see who was on duty when the stock went missing. If you begin to notice a pattern between missing stock and certain staff members on duty, monitor their activity in the warehouse. If you notice any suspicious behaviour (such as consistently clocking in or out at odd times) then you may need to investigate further. Check the criminal history of potential employees as well as checking with previous employers to find out how long the person worked there and why they left. Trust your gut - if you’re not sure about someone’s credibility, don’t hire them. Make sure all your staff are aware that you have a zero-tolerance policy when it comes to theft or fraud. Have them sign a code of conduct that clearly outlines how violations will be punished. Additionally, you can identify anonymous channels for staff to report any suspicious activity. If everyone knows that their colleagues are keeping an eye out, it will deter thieves due to a higher chance of being caught. Having a strong managerial presence on your warehouse floor will deter theft. It can, however, be difficult for warehouse managers to spend a lot of time on the floor, as many of their duties require a computer. Additionally, you can locate your manager’s office above your warehouse, on a mezzanine floor, with a bird’s eye view of the warehouse below. This allows managers to keep an eye on the warehouse floor at all times. Use the physical layout of your warehouse to create barriers that help to prevent theft. Separate your receiving and shipping docks where possible, to prevent newly received stock exiting on an outbound truck before it even enters your warehouse. Keep your pick faces and inventory storage locations as far away from your shipping and receiving areas as possible. The only stock that should be near these areas are incoming and outgoing orders. Provide visiting truck drivers with a dedicated lounge area to wait while orders are being loaded or unloaded. 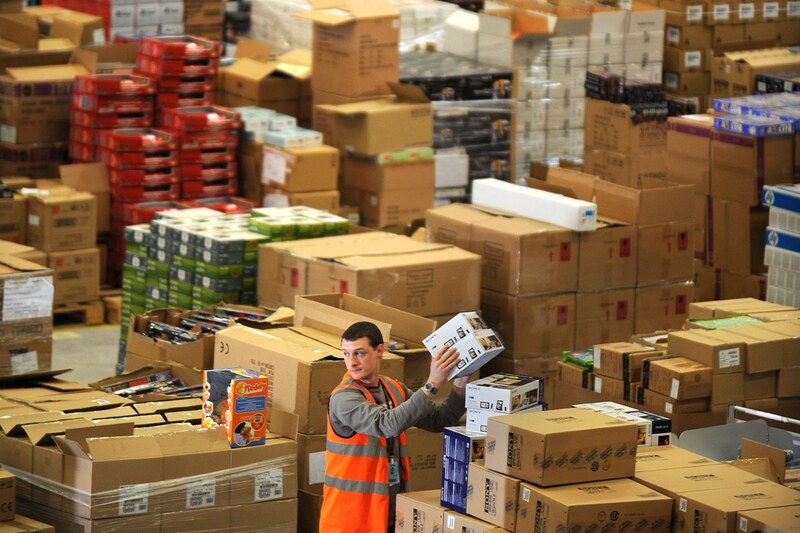 Only staff should have access to your warehouse or distribution area. Installing security systems like access control and CCTV cameras not only deter criminals but also provide evidence if the theft is caught on camera. These cameras should be strategically placed in high-risk areas. You can also install security mirrors to maximise visibility and prevent blind spots in hard to reach corners of your warehouse. Additional security measures like unplanned warehouse walkthroughs by supervisors, team leaders or management can act as an additional deterrent. Make sure these walkthroughs are completely unpredictable. Some key areas to check include shipping and receiving bays, and entrances and exits. Security personnel should be stationed at every entrance/exit to the building. Be sure to inspect any vehicles leaving your warehouse to check for any unauthorised stock leaving the premises. Staff and visitors’ parking should be located separately from your warehouse operations. No private vehicles should be near your warehouse. The less accurate your inventory records, the faster your warehouse becomes an easy target. Knowing exactly what stock you have on hand (and where that stock is located in your warehouse) helps you identify missing stock immediately and ultimately reduces warehouse theft. However, trying to keep track of stock manually often leads to errors - especially if you’re doing infrequent stocktakes. This one of the key benefits and why you need a WMS. Your WMS allows you to be more flexible in your warehouse, moving from traditional stocktake methods to cycle counting. The main benefit of cycle counting, is that it doesn’t require you to shut down your entire business. Cycle counting ensures that your inventory is frequently checked for accuracy - without interrupting your operations. You simply count small subsets of inventory in various locations in your warehouse, on an immediate, daily or weekly basis. Not only is this a more productive and efficient method of inventory control, it’s easier to spot theft because you can spot discrepancies sooner rather than later. There’s no single solution for warehouse theft. It takes a combination of strong processes, security systems, warehouse management software and excellent hiring criteria to reduce theft in your business. We advise taking precautionary measures to raise awareness, identify weak points and limit opportunity. Good luck! Never miss a post! Subscribe to Supply Chain Matters to get our latest tips, trends and insights straight to your inbox. Help prevent theft by making sure the master data in your WMS is correct, here’s our “Successful WMS Implementation Master Data Implementation Checklist” to help you get this right.